The Thomas More Law Center (TMLC) filed a 22-page Reply to the Government’s opposition of its motion for a Preliminary Injunction to stop implementation of the HHS mandate. The Law Center’s motion was filed on behalf of Legatus, a nonprofit organization of Catholic business leaders and Michigan-based Weingartz Supply Company, and its owner Daniel Weingartz. Click here to read TMLC’s Reply. 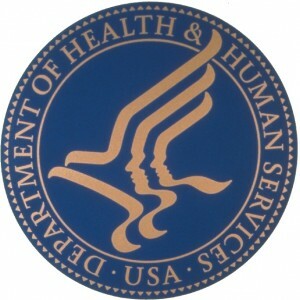 The so-called HHS Mandate, which was promulgated by the Federal Department of Health and Human Services pursuant to its authority under Obamacare, requires employers regardless of their religious objections to provide insurance that covers abortifacients, contraception, and sterilization for its employees. Federal District Judge Robert H. Cleland, for the Eastern District of Michigan, set the date for oral arguments on the Preliminary Injunction motion for September 28, 2012, at 9:30am at the U.S. Courthouse in Detroit, Michigan. TMLC’s lawsuit challenging the HHS mandate was filed on May 6, 2012 on behalf of Legatus, the Nation’s largest organization of top Catholic business leaders, and the Ann Arbor-based Weingartz Supply Company, and its president Daniel Weingartz. Named in the lawsuit were Kathleen Sebelius, Secretary of the Department of Health and Human Services; Hilda Solis, Secretary of the Department of Labor; Timothy Geithner, Secretary of the Department of Treasury; and their respective departments. TMLC filed its motion for a Preliminary Injunction on August 15, 2012 and the Government responded on August 29, 2012. Click here to read the Government opposition. TMLC’s lawsuit challenges the constitutionality of the HHS Mandate under the First Amendment rights to the Free Exercise of Religion, Free Speech, and the Establishment Clause. It also claims that the HHS Mandate violates the Religious Freedom Restoration Act of 1993 and the Administrative Procedure Act.